Farmhouses and farmhouse design is a cornerstone of country living. 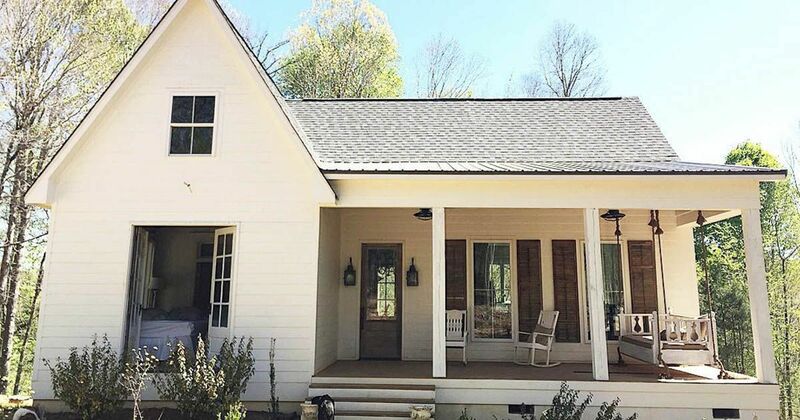 Traditionally, farmhouses are known to reside in rural locations, have fully functional porches (wraparound porches being very popular), and include a mix of formal and informal spaces. More modern farmhouses have taken this design and incorporated new features including a metal roof, Shaker-style cabinetry, barn doors, exposed reclaimed beams, and wide plank floors. In the list below, we've taken the best of the best farmhouses out there. Some are more traditional in style whereas others integrate more contemporary spins on a classic look. 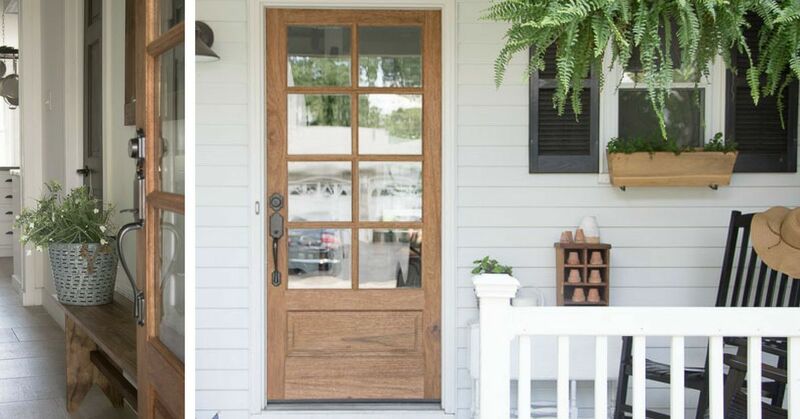 In all cases, you'll see the love for farmhouse living and life. Most of the interiors are bright, warm, and inviting. So what are you waiting for? Check out the homes below and take a tour of the inside. They began by choosing a floorplan. They fell in love with Plan 62544DJ from www.ArchitecturalDesigns.com. Next came the challenge of finding a lot with a beautiful view. After that, it was time to get to work building their forever home. Get the full tour here. Tim and Natalie Hamm own the furniture design website Hammmade Furniture, and the couple has also amassed an impressive number of followers on their Instagram page. On it, the family shares furniture creations they're working on, and also photos from their own beautiful farmhouse. As designers of rustic furniture, the couple has a keen eye for what makes a country home beautiful. Let's take a look! Get the full tour here. 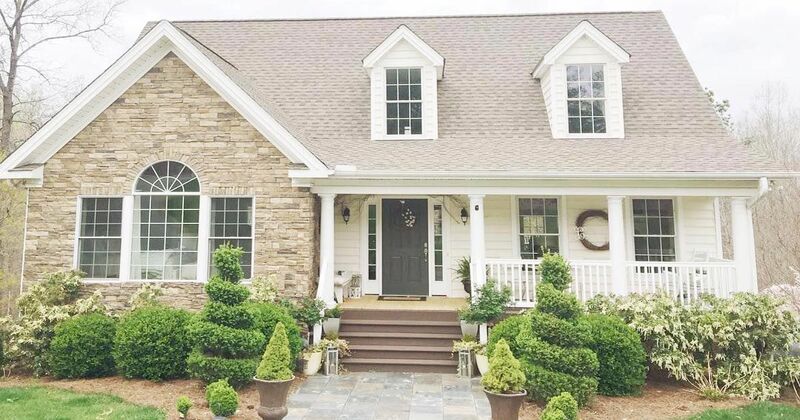 This gorgeous, light-filled farmhouse by Life on the Shady Grove was purchased as a foreclosure in 2010. When the owners bought it, the exterior was green and brown, but Wendy Durnwald had always wanted a white farmhouse. After extensive work, the exterior—as well as most of the interior—is a cheerful white, with red accents. Get the full tour here. Selena Campbell, of Middle Sister Design and the Instagram account of the same name, has taken an exciting leap into interior decorating as a business. Her blog and Instagram account both showcase pictures of her newly built home designed with Selena's eye for home decor. 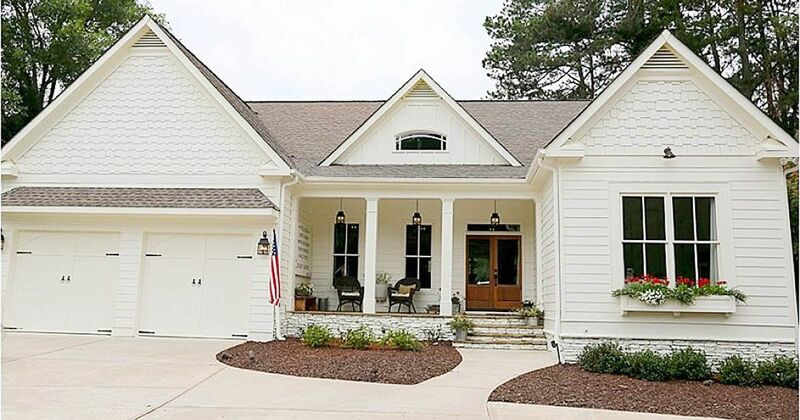 This modified farmhouse-inspired Cape Cod has many custom features – like coveted shiplap walls, iron and wood shelving, and miniature barn doors on bookshelves surrounding the lofty living room fireplace. Natural elements are also vital to the design of this home and can be seen as you walk up the front steps. The front walkway is constructed of richly colored slate tiles that lead up to dark wood stairs and a welcoming sisal rug. The interior of the home features hardwood flooring, a distressed wood dining table and a stately stone fireplace. All of these elements combine to create a unique home full of character and rustic charm. Get the full tour here. 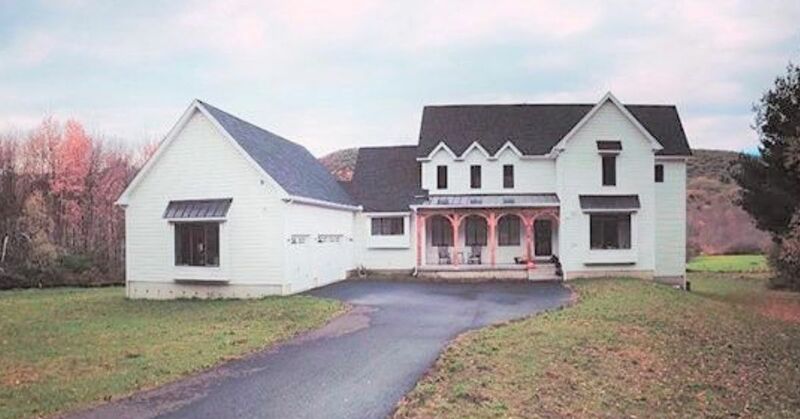 The self-styled "rambling redhead" who lives in this stunning farmhouse with two kids and a hubby describes herself online as loud and blunt with a "master's degree in sarcasm." She is also a busy online entrepreneur and creative spirit, an obviously flourishing interior decorator, and a writer and producer of comedic YouTube offerings. Her name is Jennifer, and she seems to embrace a modern life with lots and lots of traditional, down-home style. Get the full tour here. After indulging in a pleasing libation or simply breathing in the neighborhood ambience, perhaps it is time to explore this historic two-bedroom cottage's nooks and crannies. The original structure was built in 1889, writes Josh on Airbnb, starting out as kitchen to the bigger main house next door. In 1914, it was bumped up to a full cottage with the footprint it sports today. Now seems like a good time to explore the home. Get the full tour here. The house is surrounded by a horse pasture, and horses can be seen from all angles in the house. While the exterior looks aged, the interior of the home was renovated in 2015. Get the full tour here. 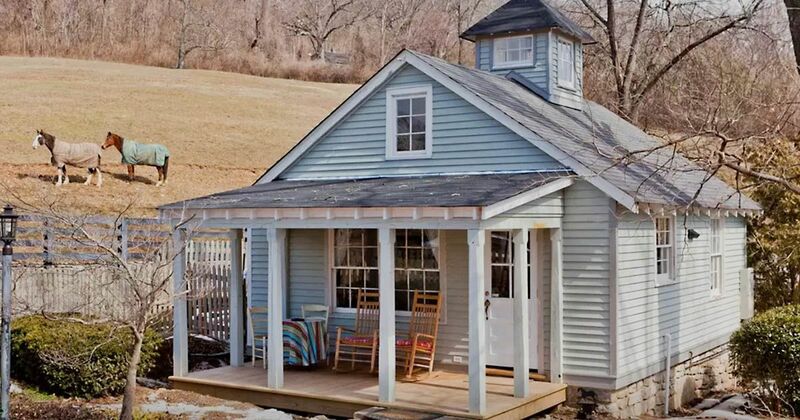 You don't need to live on a big old hill out in the country to have gorgeous farmhouse look. 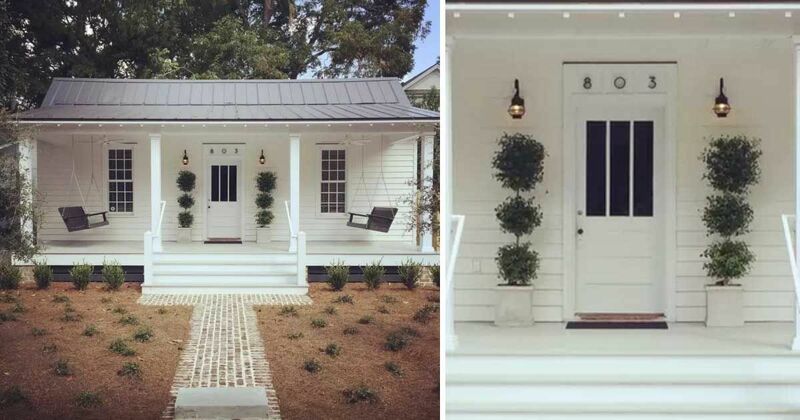 You can turn any old cookie cutter home into a Joanna Gaines looking paradise — just ask Deb of the blog Seeking Lavender Lane. She managed to make the best out of her 1980s cookie cutter home, and Deb proves in her photos that it doesn't matter where you live, just so long as you put a little love and heart into your home. Get the full tour here. 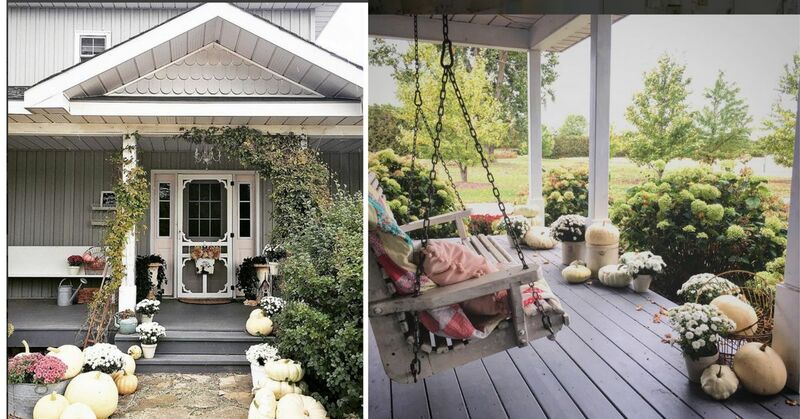 The owner of this fabulous farmhouse, Tracey Hiebert, has a memorable tagline on her Instagram account. It reads: "Tracey Hiebert. Believer, Wife, Mom, Grandma, Crazy Cat Lady." 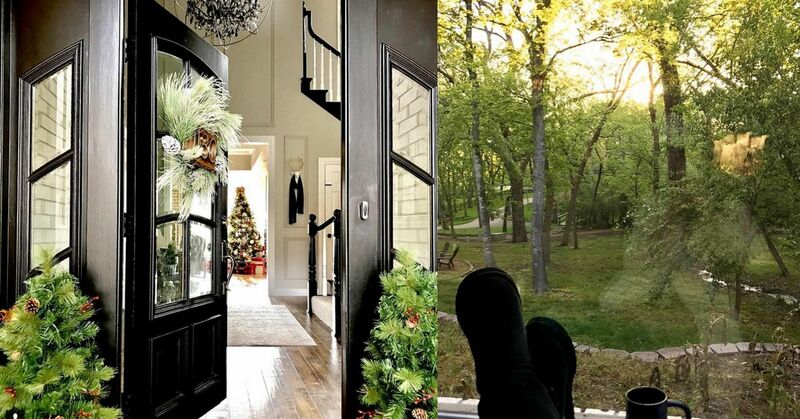 Yes, that about sums it up and the proof is in her (oxymoron alert) extravagantly casual farmhouse that is decorated to top to bottom with countrified swank (perhaps another oxymoron). How to describe this? This is obviously a well thought out decoration scheme the end result of which is a hodgepodge of country funk that all adds up beautifully to a house that is fun, cozy, heavenly and very country. So, let's take a look. We're invited in: Get the full tour here.